Patients with dermatomyositis have multiple risk factors for serious and opportunistic infections, including immune dysregulation, long-term systemic corticosteroid treatment and comorbid health conditions. We sought to determine whether dermatomyositis is associated with increased odds and burden of systemic, opportunistic and antibiotic-resistant infections. We analyzed data from the Nationwide Inpatient Sample from 2002 to 2012, containing a cross-sectional representative 20% sample of all hospitalizations in the US. Overall, dermatomyositis was associated with serious infections in adults (multivariable logistic regression; adjusted odds ratio [95% confidence interval]: 2.19 [2.08–2.30]) and children (1.45 [1.20–1.76]). 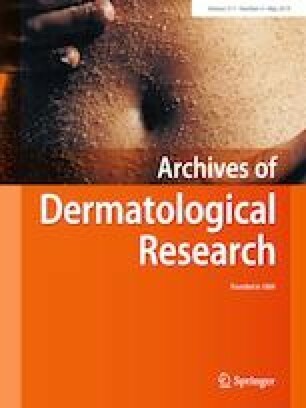 In particular, dermatomyositis was significantly associated with 32 of 48 and 15 of 48 infections examined in adults and children, respectively, including infections of skin, bone, joints, brain, heart, lungs, and gastrointestinal system, as well sepsis, antibiotic-resistant and opportunistic infections. Predictors of infections included non-white race/ethnicity, insurance status, history of long-term systemic corticosteroid usage, Cushing’s syndrome (likely secondary to corticosteroid usage), diabetes, and cancer. Serious infections were associated with significantly increased inpatient cost and death in dermatomyositis patients. In conclusion, dermatomyositis is associated with higher odds, costs and inpatient mortality from serious and opportunistic infections. The online version of this article ( https://doi.org/10.1007/s00403-019-01913-0) contains supplementary material, which is available to authorized users. This publication was made possible with support from the Agency for Healthcare Research and Quality (AHRQ), grant number K12 HS023011, and the Dermatology Foundation. J. I. Silverberg had full access to all the data in the study and takes responsibility for the integrity of the data and accuracy of the data analysis. Study concept and design: J. I. Silverberg. Acquisition of data: J. I. Silverberg, and Z. Ren. Analysis and interpretation of data: J. I. Silverberg, Z. Ren, A. Laumann. Drafting of the manuscript: J. I. Silverberg, Z. Ren, A. Laumann. Critical revision of the manuscript for important intellectual content: J. I. Silverberg, Z. Ren, A. Laumann. Statistical analysis: J. I. Silverberg, Z. Ren. Obtained funding: J. I. Silverberg. Administrative technical or material support: None. Study supervision: None. J. I. Silverberg, A. Laumann and Ziyou Ren have no relevant conflicts of interest to declare. The study was approved by the institutional review board at Northwestern University.